Baby Roll Asleep. . . . wha what?! I thought this was a joke. But it’s real. It’s a wagon. For your infant. So you can roll them to sleep. For more hilarity watch Mom’s Using Roll Asleep. I promise, it doesn’t disappoint. Under no circumstances should you buy this product. None. Nada. Nyet. I can think of many other fab ways to invest $79.95. Like, I don’t know, maybe a sleep consult?! For the love of Pete, contact me if you think this is a clever product. Really? How did you get started in this? Why are you doing this? Seriously – sleep consulting for kids? These are just a few of the questions I’ve been asked since pursuing children’s sleep consulting. Here’s the long winded answer. This all got started for me because we really struggled with my son and his sleep. REALLY struggled. My older daughter was easier to manage. Don’t get me wrong. It’s never easy and we worked hard there too. I’ve always prioritized sleep for her (the happy by-product of which was sleep for tired parents). But implementing a few basics made all the difference. My son was a different story. We welcomed Gus on a chilly January morning in 2011. He was big. He was beautiful. His arrival brought immense joy and immense change for our family. He had emergency surgery at two weeks old (which I literally feel saved his life! Dr. Braga at McMaster Children’s Hospital – you are a hero to our family). But as a result of his rough start, we got into some terrible habits. He was eating every couple hours (doctor’s orders!). I knew he needed to be fed with this frequency; his weight was so low for the first month, he was doing some catching up. 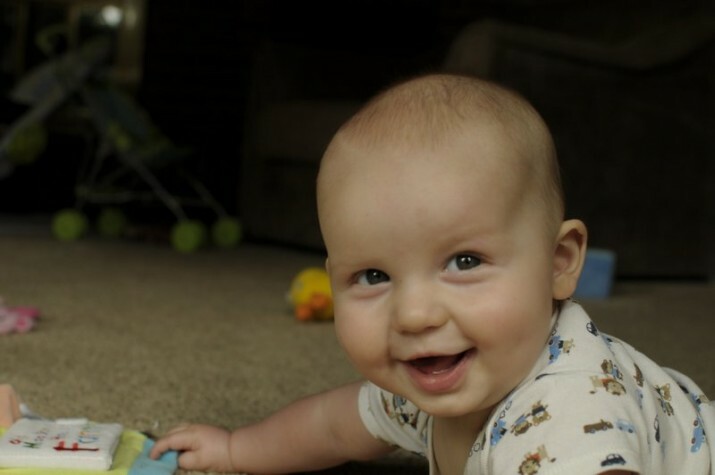 But by the time he was ready to slow down with his growth, and our pediatrician gave the thumbs up to let him guide the frequency of feedings, he didn’t know how to sleep longer than 1.5 hour intervals. AND, he developed what everyone else was calling “colic.” He was eating all the time, and within minutes of eating, was spitting up and crying inconsolably. So feeding every 2 hours meant 20 minutes of eating, almost 140 minutes of back arching, writhing discomfort, loud-enough-to-wake-my-sleeping-toddler crying, and repeat. As a result, I was a zombie. A cranky, short fused, couldn’t-even-put-my-pants-on-the-right-way mess. I was starting to spiral towards depression. I couldn’t console my baby; I couldn’t help my baby sleep; I remember admitting to my husband that I didn’t love our son the way I loved our daughter; I started to understand why some parents shake or abandon their children, which only made me feel more inadequate and incompetent. What kind of parent was I? I’m no saint. I had meltdowns. Each meltdown served to make me and everyone around me feel worse. I clearly remember sitting and crying with my son and daughter on many occasions. It’s an understatement to say I was running on empty. I knew I wasn’t being a good parent. Actually, I wasn’t good at anything when I was that sleep deprived. My relationship with my husband was suffering, my toddler was unhappy, even my gentle, loving dog steered clear of me. I knew Gus wasn’t sleeping enough for him to be happy and healthy. I knew there had to be a better way. But when I tried to find resources, there didn’t seem to be many options for mothers looking to educate themselves on sleep. 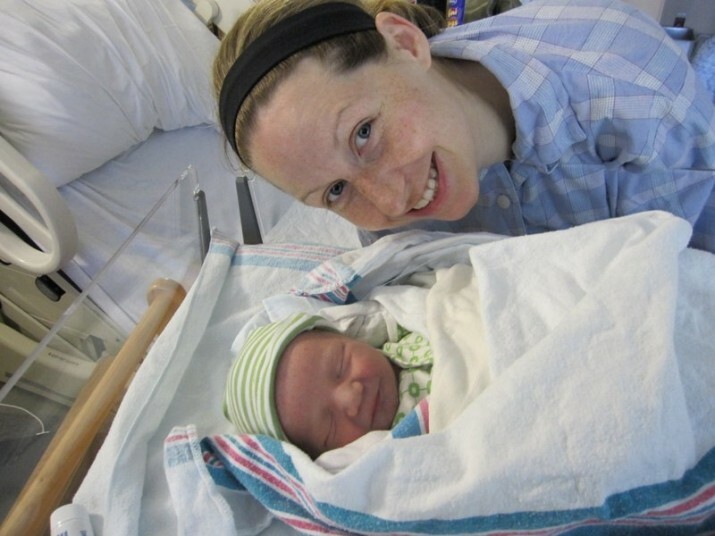 When my son was sick and losing weight as a newborn, we were initially diagnosed with a “feeding issue.” I had about 10 nurses, lactation consultants and physicians watch me breastfeed in the span of two weeks (which I now find mortifying, but my modesty was checked at the doors of the hospital when my baby was not well). I went along with all the professional suggestions and advice, even though I felt confident in his eating ability and in what I was doing. After all, I had exclusively breastfed my older daughter for 6 months, which is right about the time she grew out of her infant car seat – rated to 21 lbs (that means she was pretty much a giant). So I had to do something right?! My point is that information about breastfeeding is about 10x more accessible. But when the feeding stuff was taken care of, I didn’t know who to turn to for real, tangible advice about sleep. Sure there were forums out there which offered support from other parents. But hearing “It’s ok, it’s completely normal for your baby to wake that many times” or “that’s just colic. . . it will get better in a few more months” only made me sink deeper into despair (ok, admittedly it was more like yell, cuss and slam doors first with despair coming second). So what did I do? I researched the crap out of sleep (and this mysterious “colic” that everyone kept talking about). Even though I was exhausted and regularly fell asleep with a book on me, I perservered. Turns out, I actually found this sleep stuff fascinating. So anything I could get my hands on about children’s sleep, I read it. I implemented pieces from here and there, based on what I felt like was in line with our family and our parenting style. We figured out the “colic” bit too. GERD along with a dairy allergy. Who knew? Antacids and cutting out dairy did the trick to make him more comfortable. It wasn’t until I started following some rules and strategies to optimize his sleep that I started to see improvement. The results of our efforts were life changing! Our son was sleeping better!!! He was exponentially happier!! I don’t doubt his sleep has helped his health as well. With better sleep, I regained my sanity and sense of well-being. I was able to reconnect with my husband, making us a stronger foundation for our young family. I restored my relationship with my daughter. Even my dog and I called a truce when I found the energy to run with her again. And who doesn’t love a happy, well rested cutie?! Gus is now 19 months. He’s funny. His giggle is infectious and makes my heart swell. He’s adventuresome. He’s taught my 3.5 year old a lot about climbing and jumping. He’s affectionate. Myself and our dog are frequently the lucky recipients of his generous hugs and kisses. He’s got this whole charming thing going on that makes it hard not to smile, even when he’s poured his spaghetti on the floor and is wearing his bowl on his head. His sleep is still something we work hard to maintain, but I know it’s well worth the effort. I got a bit more serious about my enthusiasm for children’s sleep and I completed my certification as a Children’s Sleep Consultant with the Family Sleep Institute. My instructor has been doing this for almost 20 years. She’s an amazing mentor and friend to have. I love sharing the power of sleep. I love working towards a common goal with awesome families. I love when families get better rest and begin to feel and do better. I love the opportunity to create positive change. I’m thrilled to have a job I feel passionate about. Some tips for all you travelling families this weekend. 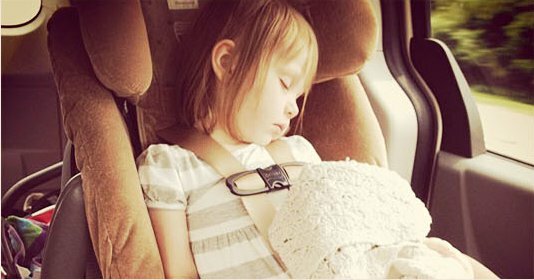 – Car/stroller naps happen, but recognize it may not have been as restorative as a crib/bed sleep. – Be respectful of your child’s sleep needs; overtiredness leads to bedtime battles. – Keep up with same the soothing routines and similar (dark, quiet) sleep environment as much as possible. – Don’t forget the lovey and baby monitor!